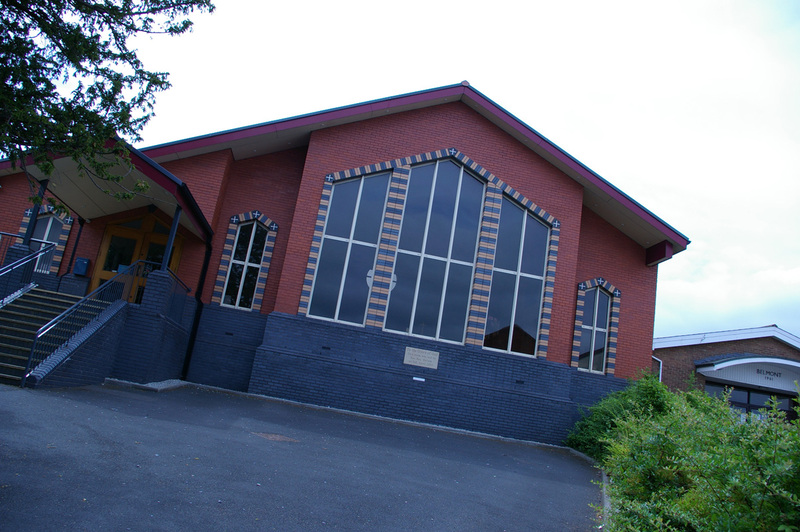 Since November 2004, the Methodist family in Wellington, Telford has been occupying a modern, multi-occupancy building at the heart of the community. The new Wellington Methodist Church and Centre is a spacious suite of premises, which afford the kind of accommodation that will cater for almost every kind of activity, and has a bias towards being a church for all ages and circumstances. In an era when people expect to find public buildings accessible, warm and welcoming; and in a community that is working to establish itself as a good and lively modern town, the Methodist Church now offers probably the best example of a community-serving building in the area, and the church family want it to be a place where everyone feels they can belong. In a growing church, as well as Sunday worship there is a need to provide opportunity for people of all ages to be nurtured and encouraged in their spiritual lives. There are weekly meetings of Ladies Group. Each Thursday, a lunchtime group hold meetings inFelloship Room called “Food for thought” when various speakers visit and friends bring their own lunch and share fellowship together. Everyone is welcome to attend at 12.15pm. More details on Weekly Activities. An integrated part of the church family, these groups help to ensure for young people a right balance between spiritual training and the need to mature in dealing with relationships; team-working; and project-based self-achievement. These well-attended groups are a credit to their leaders and an important part of our mission. More details on Youth Groups. There are lots of things to enjoy at Wellington Methodist Church and Centre. Twice a week there are coffee mornings open to the public (Saturday and Thursday) for shoppers and visitors to the market, health centre, library or whatever… and always there is someone to talk to or offer a prayer for anyone needing to find quiet or help. The excellent church and hall provides an ideal venue for concerts, organ recitals, plays, etc, and a busy programme is planned throughout the year. And if they can find a time when there is space – lots of community groups like to use our premises from dancing to conferences for local or business groups. For more details on room hire please contact Annette Thomas. It has always been said that Methodism has a ‘social conscience’, and at the Methodist Centre we take this commitment very seriously. The life of this church has been transformed by the arrival of the new building, and as worship, nurture and fellowship, the youth programme and adult work is changing and adapting to the opportunities and challenges of the 21st century, we know that there is a lot more that God wants to do in and through the growing church family here. There are plans to expand our youth work; increase the number of people involved in study groups; prayer groups, or both; give people opportunity to provide practical support and encouragement to our various projects and activities. Slowly, as new members and families are joining the church, so the potential to meet and answer the demands of mission and evangelism becomes ever more possible. We are a Methodist Church with an evangelistic heart – a desire to be in the community, but in it in order to extend the Kingdom and reach others with the Love of God. If you come to Wellington and are anywhere near ‘The Top of the Town’, look us up and come in to meet us.